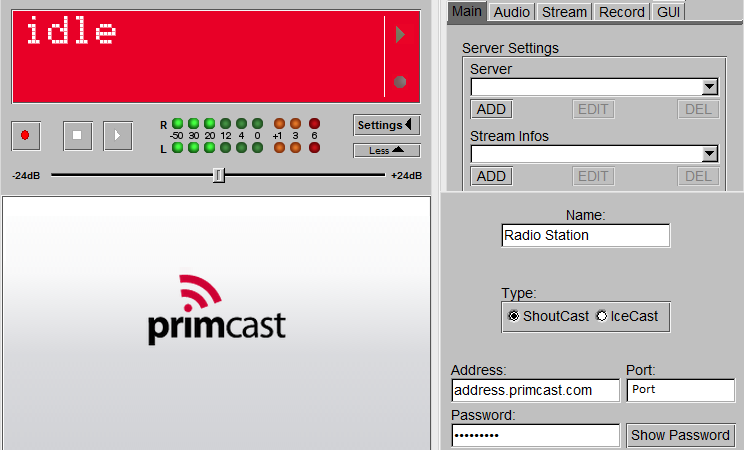 Firstly we will need to go to settings and click ADD, and input your Primcast shoutcast address, port and password. 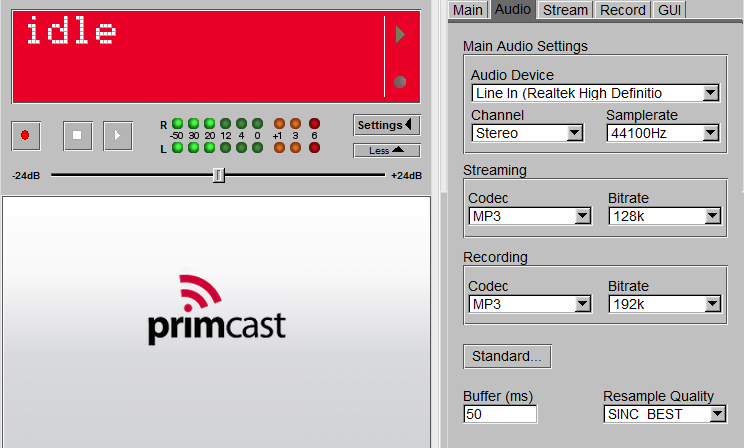 Next we will setup the Audio Input and bitrate. In this case we will use our default soundcard, and mp3 codec at a bitrate of 128kbps. 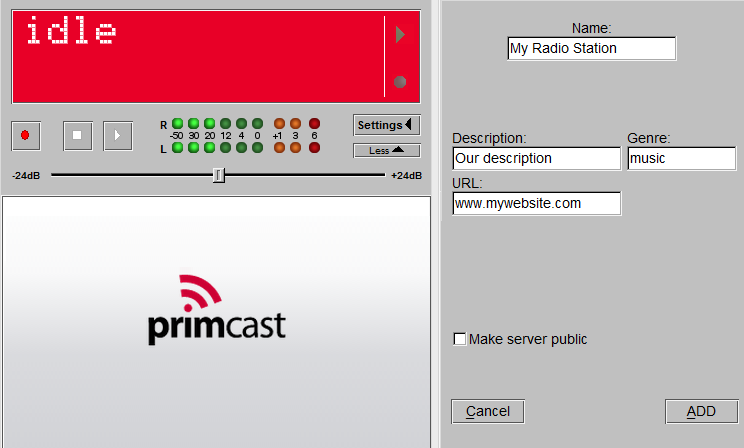 Now we will begin to setup our station details, from the setting button we will go to Stream infos section and click Add, There we will be able to give our station its name, description, genre etc. 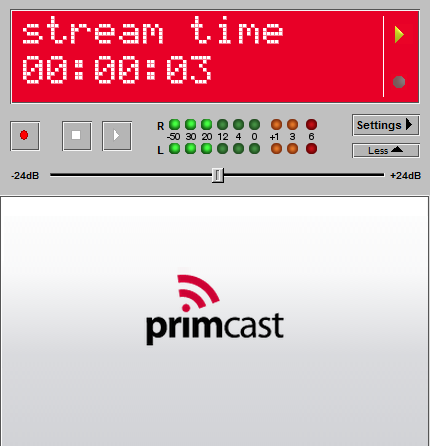 Once we have done all the steps we can connect our encoder, simply click on the play button, and you will begin streaming.